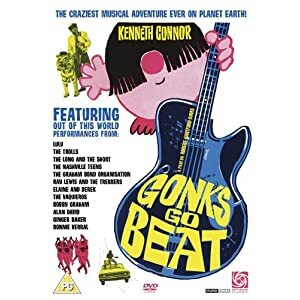 Classic Cars Talks: Gonks Go Beat! I found this movie not long ago in a friend's guitar whop. The whole movie is a bonanza of vintage guitars and sixties style. I decided to share here an extract in which "the Beats" rehearse for a guitar competition. So obviously the get some cool cars and drive on a landing strip up and down while the band plays the song. Quite normal in the sixties, I guess. In the video there are some nice shot of chevrolet impala, triumph spitfire mark I, Austin Healey, Sunbeam Tiger and an AC Bristol.